ABC director Mark Scott is addressing the National Press Club today. We wonder whether he will be asked about the NBN and former ABC technology editor Nick Ross. Managing editor David Donovan spoke to Nick Ross last week. Outgoing ABC managing director Mark Scott is making an address to the National Press Club today, in which he will be reportedly outlining his brilliant idea to merge ABC with the SBS, cutting channels and putting many of them online. No doubt this will thrill Liberal Party ideologues, who have always been opposed to public broadcasting in principle, as well as seeing it as a potential threat to not only their right to rule, but also their commercial sponsors. Of course, the great Scott ‒ a former Liberal Party staffer in the NSW Greiner Government and Howard appointee to the ABC ‒ mentioned these plans in Senate Estimates earlier this month. At the same time, he also came under questioning over apparent bias at the ABC in their reporting of NBN before the election and apparent gagging of technology editor Nick Ross. Scott, of course, denied these allegations entirely. A sensational 2013 secret recording of ABC current affairs chief Bruce Belsham by technology editor Nick Ross published (as a transcript) after his resignation from the broadcaster in January, indicated that ABC executives (“the 14th Floor”) had been putting pressure on editorial staff prior to the 2013 election to tone down criticism of the Abbott Oppositon. It was said to be a self-defence mechanism, since it was expected the Liberals would win. This was revealed, for example, in Belsham counselling Ross to write a piece attacking Labor’s NBN roll-out before publishing a piece critical of the Turnbull plan for a largely copper wire NBN. Ross’ article was eventually published by the ABC nine days after the September 2013 election — a complete waste of time. Further evidence of calculated bias of the ABC emerged after New Matilda’s extended series of detailed articles about this affair were, with one exception, completely overlooked by the ABC’s 2000 journalists — quite a remarkable feat. Tech expert Nick Ross’ analysis of the NBN has subsequently been proven remarkably prescient and accurate in virtually every area, as the “mongrel” mix of technologies Turnbull has used to patch together his version of the NBN has proven to be ludicrously costly, unfit for purpose and already redundant. Even more alarming, the recordings made inferred that then Shadow Communications Minister Malcolm Turnbull had privately exerted pressure on ABC executives to get them to soften their reporting of the NBN — something that could be seen as an abuse of his position, given he would (and, indeed, did) have control of both the NBN and the ABC in an incoming Liberal Government. Turnbull received some questioning over these matters in Question Time, but Labor’s Jason Clare was not permitted to pursue it beyond a few questions. I spoke to exclusively to Nick Ross about all these matters last week, where he gave a frank and damning rebuttal to an ABC Media Watch hatchet job, Mark Scott’s evasive and misleading Senate testimony, as well as strong words about the allegedly underhanded actions of now Prime Minister Malcolm Turnbull and his chewing gum, paperclip and sticky tape broadband solution. INDEPENDENT AUSTRALIA: At Senate Estimates last week, Mark Scott repeatedly described you an “advocate” and for the Labor version of the NBN, using the Media Watch episode on you to support his analysis. You have called the Media Watch a “beat up” and that it lied about you. Why do you say that? NICK ROSS: I was told that [ABC] Media Watch was going to investigate the media’s coverage of the NBN in general. It didn’t. It did a whole segment about me without talking to me first. I only found out that was happening when Renai LeMay of Delimiter told me they were coming after me the morning of the show (as he’d been contacted by them). I explained that it would probably be good to talk to me if it was about me. Pretty much every gutter journo tactic is on display in that episode. They cherry pick social media tweets and quotes from random places out of context going back years. The don’t ever bother fact checking my article, which they’re focusing on. They never point out that it took two years to write and was professionally fact checked. They line up two commentators to say if I’m right or wrong ‒ Renai at Delimiter, who went into great analysis of what I wrote and supported it ‒ Grahame Lynch from Commsday (a notorious right-wing Liberal) who’d bashed out a similar length hate blog about my article, where all of the “facts” showing I was wrong were already addressed in the original article. Media Watch then presented the two sides in a “choose who you believe” manner without fact checking either of them. They then literally lectured against “he said, she said” journalism. This was called out by [then ZDNet reporter] Josh Taylor as it aired and Holmes acknowledged it. Fair point. Tweet follows RT @joshgnosis: #mediawatch resorted to he-said she-said reporting to determine whether the article was accurate. @jamesteajourno It didn’t assess the claims made in the article at all. Just used LeMay and Lynch’s views on the article. In all this time they were obviously trying to show I’d done something wrong, but having got nowhere, they then took a quote from another article altogether, from 14 months earlier ‒ a lifetime in tech ‒ that was an opinion piece, and then shortened the quote to mean the opposite of what I intended and then slammed me for breaking an Editorial Policy regarding advocacy. Only I hadn’t, as it wasn’t an Ed Pol, but something called an advisory note. (I’ve still no idea what that means, exactly, or why anyone at the ABC is supposed to know about it.) And even then the note proscribes all advocacy including ‘advocating the truth’. That statement conflicts with many other actual Ed Pols and published literature [see below] from senior management. All I ever advocated was informing people of the truth. I’ve been told that if all advocacy is banned then [ABC] Four Corners would have to cease. Ultimately, I did nothing wrong, but that’s not how anyone saw it. That, complete with a stupid photo of me [that] made me look like some biased fanboy who had got a bit excited in my coverage. The result was devastating to me. I was damaged goods at the ABC and almost all my TV and Radio work vanished. I got pulled off an external radio show when the producers Googled me and saw the Media Watch episode online and established after a quick skim of it that I was biased. People say, “it wasn’t that bad”. But being nationally humiliated and having your professionalism destroyed like that caused very real problems and even made me ill.
Just shows you can't ever escape a @ABCmediawatch beat up. As you saw, I still get people saying that I’m an advocate even today. But I wasn’t allowed to say anything back then because official ABC policy is to let the news cycle pass (it doesn’t pass in the age of the internet and Google). My boss said that even though he acknowledged the fallout was traumatic for me that I should “get over it” as it had happened to “many other people”. I look on it as formalised workplace bullying; I had no right of reply or recourse either. IA: Mark Scott spent much of his time in Estimates discussing your February 2013 11,000 word ‘Vast Differences’ piece, yet the piece you taped for New Matilda was another piece on the copper network, unpublished until after the election. Senator Ludlum questioned Scott on why this piece was held up for months, but Scott needed to take the question on notice. Do you think this was an abuse of the Senate process by Scott? NICK ROSS: I’m no expert on the Senate Process but I do know that in 2015 when Scott was asked if the Tech Site was being shut down he didn’t say it was even though I’d been told it was days before. The recent Estimates was a clusterfail all round. He and Dastyari spent the bulk of the session talking about the February ‘Vast Differences’ article as though it was in the context of the May meeting and the ‘Copper article’. When Ludlam finally called him on this right at the end, he acted like he didn’t know what the Copper article even was despite that being the supposed focus of the entire questioning. It was certainly disappointing hearing Scott defending Belsham in the meeting by saying that I’d failed to escalate an article, when the whole meeting was actually called just so I could escalate the Copper article (only for it to be held back for political reasons despite being told, first thing, that there was nothing wrong with it). Scott also repeated that I should have looked at all sides of the debate and that Belsham was just trying to convey that to me in the meeting, despite the fact that if you read the Copper article, there’s very little analysis from me actually in it — it’s a description of every single piece of information about the Copper Network from every source available in the public domain going back 11 years (it took two years to research). But few in the Senate room noticed and neither did any journalists subsequently writing it up. I often wonder what would have happened if the ABC led with my investigation into how using Australia’s copper network for a Fibre-to-the-Node rollout could only lead to massive cost blowouts, rather than burying it. Perhaps we might have been spared the subsequent massive cost blowouts which the article predicted. IA: Scott repeatedly referred to the extraordinary length of the original piece and that you didn’t refer it upward for editorial feedback before publishing. Was that ever a requirement for you beforehand? Do other editors need to refer their pieces upwards? Was the length of the piece really an issue? NICK ROSS: Again, he wasn’t even supposed to be talking about that article. It was the Copper article that was supposed to be the topic. This constant mentioning of the Feb ‘Vast Differences’ article deflects the major issues. Nonetheless … me and the ABC had published plenty of long articles before and this was article number 21 in a series on the NBN. 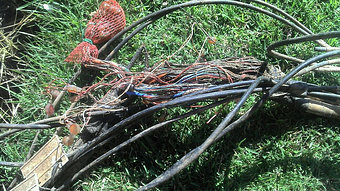 Some of the earlier ones exposed the state of the copper network and even drew comments from Turnbull and Telstra in response to them. I never heard anything back from management about those. Yes the ‘Vast Differences’ article was longer than the long ones before it, but it’s ultimately just being extremely thorough in describing all the comparable elements of both policies. It’s hardly my fault one policy is better than the other in every single way. My conclusion was brief and I backed up everything I said with multiple facts. There was no internal outcry when it appeared. I wasn’t disciplined for writing it as many newspapers keep claiming (thanks Sally Cray). I wasn’t called in about it until later after it had gone unexpectedly viral and used by The Project to grill Malcolm Turnbull. A few days after that I was beaten up in The Australian newspaper – twice ‒ but the only thing they got right was my name. When I then met my boss, all he said was (and this was repeated in other meetings) that “if” I had sent it to him first, he could have toned down some emotive language, which would have “fireproofed” it from criticism. I still think that’s nonsense, as it just relays facts throughout. But it’s the only criticism I ever got internally. Now, however, hindsight and revisionism rule the roost it seems and hardly anyone is bothering to fact check anything. IA: How would you respond to the criticism that you are not balanced? Ha! Saying I'm not balanced in my #NBN article. First time an ABC manager has told me that. #Estimates. To date, nobody has exposed a valid hole and all criticism revolves around lying, distorting regulations or personal abuse. Ultimately, I’m not trying to push any agenda – I’m apolitical – I enjoy trying to establish the truth in a world of toxic information and inform people of it. But don’t take my word for it. Read [ABC head of editorial policy] Alan Sunderland’s description of balance and real journalism that he wrote just a few months ago. It vindicates me entirely. It was pushed round the ABC News Division by [ABC news director] Gaven Morris who endorsed it. What is actually thrown at me are “false balance” accusations: giving different opinions equal time and an equal number of stories regardless of validity. Promoting something you know is wrong is misleading the public. I refuse to do that. Yet it’s easy to sling all this at me when nobody checks it up. Turnbull recently did it in parliament again with his repeated, “Why didn’t you phone Europe to find out about Fibre-to-the-Node?” claim. In reality, we likely published more about the realities of Fibre-to-the-Node deployment than Turnbull did. IA: You were critical on Twitter about the standard of questioning by the Senators. What other questions do you think they should have asked? NICK ROSS: As mentioned above, they spent the entire time talking about the wrong article in the wrong context of a meeting that was much later. When Ludlam pointed this out, Mark Scott acted like he was unfamiliar with the actual article and took it on notice. The combination of that article and the meeting, along with claims that management pickled a winner of the election months before the election, should have been the focus of the questioning. How can @mscott take that on notice when it's what he and everyone has been talking about for past 30mins #Estimates ??? IA: Mark Scott said there has been no directive to ABC journalists to not cover your allegations and the New Matilda expose. How can 2000 journalists independent reach the same conclusion not to cover a story? What is really going on at the ABC? It is a cover up and more evidence of unbalanced reporting? NICK ROSS: A. 2000 journalists have clearly all independently decided not to cover the matter. Either that or what is said publicly by Sunderland and Scott is different to the pressures of certain coverage within the ABC. B. As I felt duty bound to tell the world: articles get held back for political reasons and an environment is created where there is no way ABC journalists would cover certain things because of the internal atmosphere and pressure from management. I always felt that working at the ABC was a personal duty where I needed to inform the public who I viewed as my boss. In reality, you’re not working for the public, you’re working for management with very different agendas. C. I reported all this to the internal whistleblowing system (external contractors are handled by external companies but editorial whistleblowing is handled internally by Group Audit). They said there was enough information for an investigation but then came up with some strange terms of reference — to investigate whether ‘ABC News Division has a policy in place since 2013 to only report favourably on the current Government’s / Coalition’s National Broadband Network (NBN) policy’, which wasn’t exactly what happened. The investigation found there was nothing wrong. Ultimately, I think most of management works together to protect the core — from HR, through Group Audit, through Corporate Comms to senior editors and managers. I’ve got damning information on all of them. But few people in positions to make a difference want to hear it. IA: Mark Scott refused to have an inquiry into what he called the “illegal tape recording” published in New Matilda, saying he was confident in the judgement of Bruce Belsham and the processes in place. Do you think the ABC should have conducted an internal inquiry? More importantly, do you think there should be an independent external inquiry into this affair — perhaps similar to what Turnbull conducted into Q&A? What did you think of the blasé way Mark Scott approached this question? NICK ROSS: I think Scott did an impressive job of deflecting every serious issue thrown at him. Says more about the questioners, really. I’ve no faith in any “independent inquiry.” I’ve been through and watched enough to know they’re a joke — just fiddle the terms of reference. Ultimately, I’d like to be approaching this as part of a journalist informing people of important facts and let others get on with making any changes they see fit. I’m not campaigning for anything. I do know, though, that if a truly independent, external auditor spoke to all journalists ‒ past and present ‒ about internal pressures on coverage, we’d get a very, very different view of the ABC to what is presented. IA: The NBN has recently been valued at $27 billion, less than half the cost expended so far. You said on Twitter that you don’t think it is even worth that; why did you say that? If you bought it you’d be buying colossal maintenance fixtures and a requirement to expensively upgrade it to fibre very soon. Also, new information is appearing about the potential to upgrade it at all. That stuff really needs chasing up. IA: I have been told by other ABC journalists that in the lead up the 2013 election, management were telling staff the Liberals would win, so they needed to be softer on the Liberals or for fear of their losing funding after the election. This is something borne out by Belsham recordings. Are you aware of any other areas of the ABC where this may have occurred? I know you have made a comment about ‘Ashbygate’ in another forum, something we here at IA have a particular interest in; could you possibly elaborate on those comments? NICK ROSS: I didn’t know anything about Ashby at the time. But someone told me when all this happened that some journalist(s) had been told to not pry into Ashby. I’m not even sure who told me. I’m interested that other ABC journalists were told the same as me. It would vindicate everything. But there’s absolutely no safe environment for them to come forward and I certainly wouldn’t recommend it. I did notice that a fair few of the journos who liked to go hard at politicians went in the “cuts”. An inquiry is probably a good idea but I haven’t seen any serious calls for one. Since coming forward, I have been contacted by other ABC journalists who have offered support but can’t come forward. I understand they have similar directives in writing but have no safe way to release it and protect themselves. 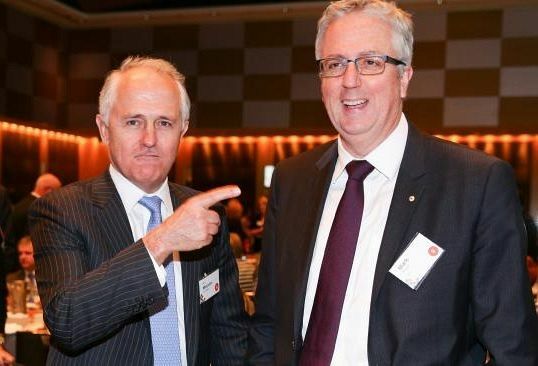 IA: Mark Scott questioned your independence over the NBN, however Mark Scott is a former Liberal Party staffer in the Greiner Government, appointed to head the ABC by John Howard. Do you think Mark Scott is a truly independent managing director, or has he subtly worked to skew the ABC towards the conservative side of politics? Did he question my independence? I wonder who he thinks I might have been siding with? Labor? NBNco? Weird. As for the rest, I simply don’t do politics. Sorry. IA: Turnbull was questioned by Jason Clare in Question Time a couple of weeks ago, where Turnbull said he never said anything to ABC management privately that he didn’t say publicly. Well, the PM has made some extremely belligerent and prima facie defamatory statements to you and about you publicly, and some extremely specific remarks about the ABC coverage of the NBN publicly, including how it should be reporting it. So, do you feel that Turnbull heavied Scott and perhaps other executives about you in a similar way that he did to [SBS CEO] Michael Ebeid about Scott McIntyre at the SBS? Do you think there is a conflict of interest when a Shadow Communications Spokesperson, who is expected to take over the portfolio in a new Government, thereby having authority over the NBN and the public broadcasters, attempts to exert personal influence over senior ABC executives? NICK ROSS: I’m not an expert on some of those situations, I’m afraid. In terms of Turnbull, though, he has always criticised me (and others) for not covering certain aspects of the NBN, even when we blatantly have. Because virtually no one holds him to account on this, he keeps saying it and makes people think we did something wrong or missed important factors in our coverage. In terms of Mark Scott, what I can say is that when I dismantled Stephen Conroy’s internet filter claims it did little more than raise some eyebrows and get standard reminders from a few people about being careful. Also, I had it loosely explained to me (in early 2013) by Belsham that, although his role was below the management level of managing politics and politicians, it was necessary for him to understand what his superiors were being put through. So, absolutely, there is no way that the MD of the ABC should be the editor-in-chief if they are obliged to work with politics. The fact that Scott, as editor-in-chief, didn’t even know about the article that was supposed to be the primary topic of discussion within the recent Senate Estimates suggests that the joint role simply doesn’t work. As I think has become evident, there’s not a clear demarcation between church and state at the top of the ABC and that very obviously filters down, through middle management, to the journalists. Basically, you know if your boss is getting leaned on. And that creates pressure in coverage that naturally undermines the concept of “no fear or favour” (as described in Alan Sunderland’s piece and Mark Scott at Estimates 2014) with regards to reporting. IA: The ABC via Mark Scott have denied Turnbull’s admitted personal lobbying resulted in any change to the coverage, however that is clearly refuted by the comments of Belsham in the taped conversation. Under the circumstances, then, shouldn’t Scott make all his conversations with Turnbull a matter of public record. Is there a need for a Royal Commission into the ABC, perhaps under a new Government? NICK ROSS: I don’t like seeing Belsham carrying the can for everything. I worked for him for five years and am adamant that he primarily passes on the views of his senior managers — and I don’t think he reported directly to Mark Scott, anyway. I’ve also been told since leaving that what was said in my meetings is commonplace among many other senior managers within the ABC. Belsham shouldn’t be scapegoated — he’s just been my only point of contact, which is why he featured heavily in what I’ve said. As for blatant contradictions between what is being said publicly and what is being said privately at the ABC, I think they are doing it because they know that they won’t be held to account by anyone for it. You’d think it would be right up Media Watch’s or [ABC] Insiders’ alley. But nothing. I suspect everyone (Labor, unions, ABC board, senior journalists, MSM) knows it’s a Pandora’s box and the best thing to hope for is that it will just go away over time. Belsham himself told me several months ago, when I said that if I left there’d be no way for all this not to come out (because I’d been covering for him and deflecting questions about NBN coverage for years despite great stresses on my health — and there was no way I’d be able to keep doing that), that organisations like the ABC are typically “impervious” to such scandals. So far it looks like he’s right. The stated internal policy is to keep quiet and wait for the news cycle to pass by and that’s exactly what’s happening here. If I was a board member I’d certainly want answers but then I’ve also recently been hearing about board past practices and am not too surprised by that either. As for a Royal Commission, I just don’t know. I really have just wanted to inform people about what’s happening at the ABC ‒ because keeping silent on the public being hoodwinked is the opposite of what I do as a journalist ‒ and move away from it and not look back as it’s been so very stressful and impacted on my health. If others want to use my information in an investigation, then fine and I’ll help out. For what it’s worth, I’ve directly experienced the severe commercial pressures of manipulating content in commercial journalism when I had my own publishing company. I can assure people that they are far and away less severe than the political pressures on journalism at our national broadcaster’s journalism. We need proper journalism because, as Kerry O’Brien said recently, weak media leads to toxic government. Finally, though, I will say that the NBN definitely needs a Royal Commission. Not having one is going to affect me and my family and the country for a very long time and can’t be ignored. Some extremely serious fraud has likely occurred there and it needs to be addressed. IA: What are doing at the moment and what are your plans for the future? Do you think the bad press from Turnbull and Mark Scott has made it more difficult for you professionally? Hopefully I’ll have some good news on this front soon. I’ve got several irons in the fire, but I’m very aware that while my profile has been raised I come with serious baggage now in the views of some employers. But all I can do is what I think is right. IA: There is a lot more I could ask you, but mindful of your time, is there anything that you would like to add? NICK ROSS: I think that’s the beans of it. I think the public has been confused about the core of what I said: that management picked a winner of the election in March 2013 and didn’t want to upset them. Also, that I had articles held back because of, “the political environment”. Everyone has now seen why my Copper article wasn’t published. I felt it was imperative that people knew this as I couldn’t idly sit by and let it happen for another election. Also, a question that hasn’t been asked is: why didn’t I tell anyone? I did. Before the last election, I told senior ABC staff members, the CPSU Union leadership and Stephen Conroy’s office. All of them were appalled but said that they weren’t going to do anything and I should keep my head down and look after myself. Later on, I formally blew the whistle too. IA: Thanks so much for your time, I really appreciate it.